Children's Aid helps children in poverty to succeed and thrive by providing comprehensive supports to children, youth, and their families in targeted high-needs New York City neighborhoods. Children’s Aid is a professional powerhouse of solutions for young people. As teachers and social workers, and coaches and health care providers, Children's Aid knows what it takes to ensure children grow up strong and healthy, and ready to thrive in school and life: excellent education and health care, social-emotional support, and strong, stable families. The mission of The Children’s Village is to provide safety and care to society’s most vulnerable children. Children’s Village serves more than 700 children in residential programs, and provides programs and services in the community to approximately 10,000 children and families in the New York metropolitan area each year. All of their programs are designed to give children the stability and nurturing they need to believe in themselves and to gain the skills and attitudes necessary to become productive, caring adults. Covenant House New York began more than 40 years ago when six young runaways were given shelter from a snowstorm, in the lower east side of Manhattan. Today there are 21 Covenant House locations across the United States, Canada and Latin Americas – and together we serve more than 56,000 homeless young people each year. In New York alone we serve close to 4,000 young people each year. Our goal is simple, yet challenging: help each young person we meet move to safe, stable, and loving places in their lives. 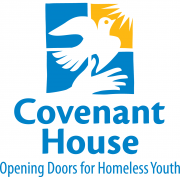 Through the years, Covenant House has grown to be the largest privately funded charity in the Americas providing loving care and vital services to homeless, abandoned, abused, trafficked, and exploited youth. The Detectives’ Endowment Association, Inc., founded in 1917, is the labor union of 17,000 active and retired NYPD Detectives. The DEA’s Widows’ and Children’s Fund provides certain health insurance costs, funeral expenses, and medical and educational assistance to the spouses and children of deceased New York City Police Department Detectives, as well as provides emotional, recreational, financial, and educational support, and certain health insurance coverage to the families of Detectives killed in the line of duty. 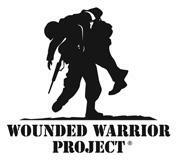 The DEA’s Widows’ and Children’s Fund is a 501(c)(3) not-for-profit foundation. 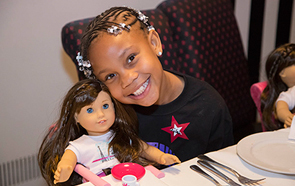 enCourage Kids Foundation encourages all kids facing health challenges to be carefree kids by creating environments and experiences that help them through each step of their medical journey. The foundation's programs – which include Hospital Happenings, Tablets, and a Pediatric Hospital Support Program – reach kids facing a variety of health issues, whether they are being treated in the hospital or living with their struggles at home. And the foundation's Escapes program in particular encourages families by creating positive memories for parents, children, and siblings through carefree, stress-free activities such as nights out at Madison Square Garden. The Joseph M. Sanzari Children’s Hospital at Hackensack University Medical Center is one of a select group designated as a full institutional member of the National Association of Children’s Hospitals and Related Institutes. This designation honors the contributions of a dedicated team of doctors, nurses, healthcare professionals and volunteers who have made the medical center a special place for children and their families, and reflects the commitment to care that the medical center has always provided. As a not-for-profit child welfare agency, the mission of the Harlem Dowling-West Side Center for Children and Family Services is to serve and assist children and their families in crises and distress. Among the services that Harlem Dowling provides are: foster care, adoption, preventative services, and related assistance to children and their families to enable them to live in a stable and nurturing environment. Founded in 1863, Hospital for Special Surgery (HSS) is America’s leading specialty hospital devoted to orthopedics and rheumatology. Every doctor, surgeon, scientist, nurse, and therapist at HSS is a specialist in caring for orthopedic patients. Collectively, we have treated the most complex cases imaginable. And every day, these experts have just one goal: providing the world’s best medical care to all. People from 105 countries and all 50 states travel to HSS but we value quality of care over volume. In addition, many sports enthusiasts know HSS as the official hospital for the New York Knicks and New York Liberty as well as other professional sports teams. We are committed to providing accurate diagnoses and treating musculoskeletal conditions so that patients get back to doing what they love to do. The Alfred and Norma Lerner Children’s Pavilion, a “hospital within a hospital”, provides one-step care for children with musculoskeletal conditions. The Pavilion meets the increasing needs of young patients and provides a family-centered experience for patients and their families and reaffirms HSS’s commitment to improving the lives children. Since 1884, Madison has been saving and enhancing the lives of youth by providing youth development services for children in New York City’s most disadvantaged communities. Programs are engineered to empower each member to achieve three priority outcomes: Academic Success, Good Character & Citizenship, and the adoption of a Healthy Lifestyle. Every day, Madison provides thousands of children with a safe and positive environment, one where fun is encouraged and positive role models are plentiful. A founding member of Boys & Girls Clubs of America, Madison currently serves more than 5,000 youth, ages 6 to 18, at four Clubhouses throughout Brooklyn and the Bronx. The Make-A-Wish Connecticut grants the wishes of children with life-threatening medical conditions to enrich the human experience with hope, strength, and joy. The Make-A-Wish Foundation is the largest wish-granting charity in the world, with 71 chapters across the United States and its territories and 28 international affiliates on five continents. The Make-A-Wish Metro New York and Western New York grants the wishes of children with life-threatening medical conditions to enrich the human experience with hope, strength, and joy. The Make-A-Wish Foundation is the largest wish-granting charity in the world, with 71 chapters across the United States and its territories and 28 international affiliates on five continents. The Make-A-Wish New Jersey grants the wishes of children with life-threatening medical conditions to enrich the human experience with hope, strength, and joy. The Make-A-Wish Foundation is the largest wish-granting charity in the world, with 71 chapters across the United States and its territories and 28 international affiliates on five continents. The Make-A-Wish Suffolk County grants the wishes of children with life-threatening medical conditions to enrich the human experience with hope, strength, and joy. The Make-A-Wish Foundation is the largest wish-granting charity in the world, with 71 chapters across the United States and its territories and 28 international affiliates on five continents. The Make-A-Wish Hudson Valley grants the wishes of children with life-threatening medical conditions to enrich the human experience with hope, strength, and joy. The Make-A-Wish Foundation is the largest wish-granting charity in the world, with 71 chapters across the United States and its territories and 28 international affiliates on five continents. Maria Fareri Children’s Hospital sets a new standard for children’s hospitals. It is the fulfillment of a vision for a family-centered facility that combines the highest-level care possible in the most supportive and therapeutic environment. Dedicated to the philosophy that families are the most important partners in the healing process, Maria Fareri Children’s Hospital has been developed as a benchmark for children’s hospitals around the world for decades to come. Memorial Sloan Kettering Cancer Center — the world’s oldest and largest private cancer center — has devoted more than 130 years to exceptional patient care, innovative research, and outstanding educational programs. Today, we are one of 45 National Cancer Institute–designated Comprehensive Cancer Centers, with state-of-the-art science flourishing side by side with clinical studies and treatment. At Memorial Sloan Kettering, we take a team approach to caring for children, adolescents, and young adults with cancer. Our experts – from physicians and nurses to child life specialists and teachers – share the goal of curing your child and returning him or her to a life focused on family, friends, and the future. New York-Presbyterian Morgan Stanley Children's Hospital is dedicated to creating a warm and welcoming, family-centered patient care environment. The hospital’s staff is committed to providing outstanding and compassionate care to each and every one of our pediatric patients, and at the same time, dedicated to responding to the concerns and needs of parents and family members. With our partners, our goal is to prevent homelessness when possible; to provide temporary, emergency shelter when needed; and to help individuals and families transition rapidly into permanent housing. We do this through providing coordinated, compassionate, high-quality services and supports. DHS and its partners continue to strengthen our work in the areas of homelessness prevention; sheltering families and individuals, street and subway outreach; and moving clients to housing permanency and supporting their transitions with aftercare services. We do this in furtherance of our system wide collective efforts to reduce homelessness and to improve the lives of all the clients who we serve in all five boroughs of New York City. The mission of the NYU Health System is the relief of human suffering caused by disease and disability through education, research and patient care. The Hassenfeld Children’s Center is a comprehensive outpatient program for children with cancers and blood disorders. The Rusk Institute of Rehabilitation Medicine provides specialized inpatient services for children with a wide variety of conditions and Tisch Hospital is a world-renowned center for the care of children with neurosurgical, cardiovascular, maxillofacial, and genetic disorders. 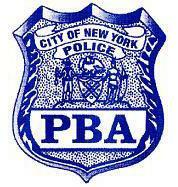 The New York City Patrolmen’s Benevolent Association (PBA) was created in 1894 to provide burial benefits for underpaid and poorly treated police officers who succumbed to a flu epidemic and other maladies of the early 1890’s. It has since evolved into the world’s largest and most important police union. Today, in addition to administering health and welfare benefits for active and retired police officers and their families, the PBA continues to fight for fair compensation and better working conditions for its nearly 24,000 active police officers. PAL is New York City’s largest independent youth development not-for-profit organization that operates head start/day care, after-school, evening teen, summer day camp, youth employment, truancy prevention, juvenile justice and re-entry, city-wide sports, play streets and part-time centers, food service, and adventure learning programs for pre-school kids, children and adolescents ages 3 to 19. In its 95th year of service, PAL is continuing its evolution and remaining a vibrant and vital NYC institution. The Ronald McDonald House of New York provides temporary housing for pediatric cancer patients and their families. Ronald McDonald House in New York City is the largest facility of its type in the world. The House can accommodate 83 families, and it is filled to capacity almost every night. Here families find a strong, supportive and caring environment, which encourages and nurtures the development of child-to-child and parent-to-parent support systems. SCAN New York Volunteer Parent-Aides Association, Inc. Founded in 1977, SCAN New York is a non-profit youth and family service organization that provides a variety of integrated supports to the highest risk children and families of East Harlem and the South Bronx. Serving over 7,000 children and teens and 1,000 adults and families each year at 22 program sites, SCAN is the largest youth service provider in East Harlem and the South Bronx. Traditional youth and family service providers typically target their client's problems and then terminate program delivery at the resolution of the presenting problem. SCAN considers the traditional "service termination" as a beginning. We employ a strength-based, empowerment-focused service approach, building upon individual and family strengths, inspiring our children and their families toward positive goals. Our mission is to provide the highest risk families and children living in East Harlem and the South Bronx with integrated family-focused programming that uses a positive approach, harnesses individual strengths and fosters responsibility, self-esteem, initiative and the development of life skills. SCO Family of Services works with New York’s most vulnerable—those striving to overcome the devastating impact of poverty, neglect, abuse, or developmental and mental challenges. We respond to moments of crisis and prevent crises before they occur with a comprehensive array of services. We give individuals and families the support and tools needed for a healthy, stable, and successful future, building stronger communities throughout the area. For more than 100 years, SCO has played a vital role for the people of New York City and Long Island. We have an extraordinary reach and depth of knowledge, and we maximize scarce resources to provide unconditional, effective, personalized care. The Steven and Alexandra Cohen Children's Medical Center of New York is dedicated to providing the highest level of care that addresses the special needs of children - from premature babies to adolescents. From specialists who cover the entire range of pediatric health concerns to the hospital’s warm and bright environment, the Cohen Children’s Medical Center of New York has become a destination hospital for children across the United States and around the world. Cohen Children's Medical Center of New York is the only hospital on Long Island that is solely dedicated to the care of children and has been named one of America's Best Children's Hospitals by U.S. News & World Report. The mission of the Sunrise Association is to bring back the joys of childhood to children with cancer and their siblings world-wide, through the creation of Sunrise Day Camps, Year-Round Programs and In-Hospital Recreational Activities, all offered free of charge. 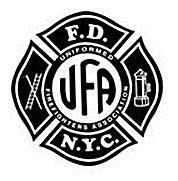 The mission of the Uniformed Firefighters Association of greater New York is to protect the rights of UFA members, obtain better and safer working conditions, secure adequate remuneration, obtain the equitable resolution of grievances, cultivate fellowship among its members and foster the finest traditions of American citizenship. WHEDco works with families in the Bronx who struggle with the multiple challenges presented by poverty, and who, like all of us, aspire to a healthy, financially stable future. WHEDco offers interconnected, innovative, and high quality solutions – including the building of healthy, affordable homes – and because of this, the Bronx is a more beautiful, more equitable, and more economically vibrant place to live and raise a family. You Gotta Believe is one of a precious few organizations in the U.S and the only organization in the New York City Metro area that limits its practice to finding permanent parents and families for young adults, teens, and pre-teens in the foster care system. You Gotta Believe envisions a day when no child is asked to face adulthood alone, when every child aging out of foster care is connected to an unconditionally committed, loving permanent family.